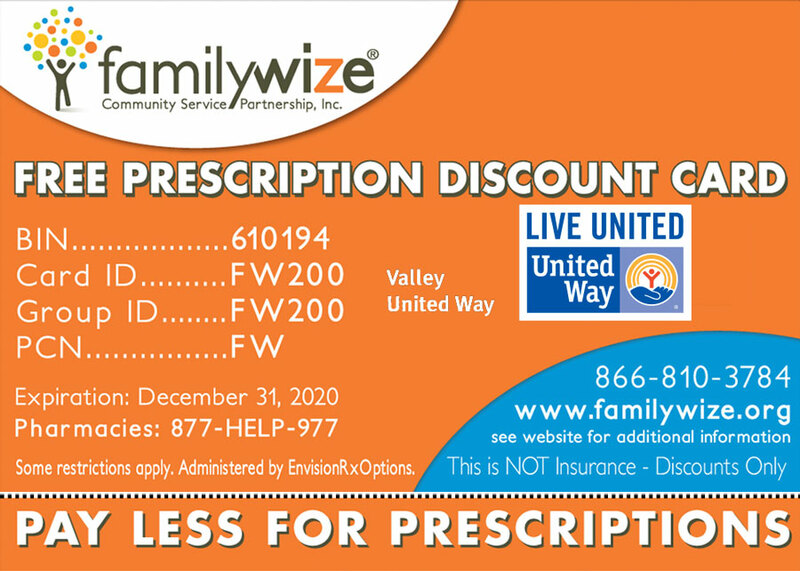 Valley United Way is participating in the FamilyWize Free Prescription Discount Card Program. This national program has saved people in the Valley area over $75,000 during 2015 according to data collected by FamilyWize. Your whole family can use this card and start saving today! No registration, activation or eligibility requirements. Simply click here to print out your own card. You can also click on the card above to be directed to the FamilyWize site to print out a card. You can also find drug prices here. You can also download a free app for your smart phone at the Apple Store, Google Play or the Windows Store.